The foreign Ministry hosted a meeting of the Deputy foreign Minister of PMR Alexandr Stetsiuk with a delegation of the Republic of Lithuania led by the attaché of the Eastern European Countries Division of the Lithuanian Foreign Ministry Sandra Drozdova. PMR Foreign Ministry hosted a meeting of the Minister of Foreign Affairs Vitaly Ignatiev with the Ambassador-at-Large of the Russian Foreign Ministry Sergey Gubarev. The co-Chairman of JCC from the Russian Federation Ilya Uvarov also attended meeting. On March 28, 2019, a meeting of expert (working) groups on ecological issues from Pridnestrovie and the Republic of Moldova was held at the office of the OSCE Mission in Kishinev. During the event, on the initiative of the Pridnestrovian side, a number of issues related to the provision and implementation of measures for the conservation and rational use of water biological resources of the Dniester River were discussed. The Ministry of Foreign Affairs of the PMR hosted the meeting of Deputy Foreign Minister of the PMR Alexander Stetsiuk and Charge d’affaires a.i. of the Kingdom of the Netherlands to the RM Roy Hans during his first official visit to the republic. A meeting of the PMR Security Council chaired by the PMR President Vadim Krasnoselsky was held today. The central issue on the agenda was the situation related to the introduction of martial law in some regions of Ukraine, including the Odessa and Vinnytsia regions bordering Pridnestrovie. During the meeting, the members of the meeting agreed a plan of action in the current circumstances. In particular, it was decided to establish a focal point for monitoring and responding to possible changes in the situation. ​Minister of Foreign Affairs of Pridnestrovie told "Kommersant" about relations with Kishinev, Moscow and Kiev. 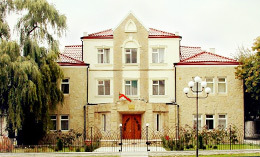 Press Service of the Ministry of Foreign Affairs of the PMR commented on the publication of some statements by the representatives of the Republic of Moldova on the Moldovan-Pridnestrovian settlement. Lately it seems that the relations between Kishinev and Tiraspol are deadlocked. Indeed, there was Berlin. More precisely it was another round of negotiations in the 5+2 format held on June 2-3. It was a breakthrough after a lull. The Pridnestrovian Representation first appeared in Moscow in 2005. Its functions were then assigned to the Cooperation Center “Pridnestrovie” – a public organization officially registered in the Russian Federation. From the beginning of 2012, the activity of this structure was discontinued, however, there is still need for Republic’s representation. This is confirmed by the numerous appeals of Pridnestrovian citizens residing in Russia. Is it safe to visit Pridnestrovie? Breakaway republics fascinate me. It’s a story of how a section of a country feels so strongly that they aren’t part of that country that they pull away, but don’t manage to separate completely. Some of these countries eventually gain independence, others don’t ever really intend to get it, and still others remain in limbo, part and yet not part of the host country.